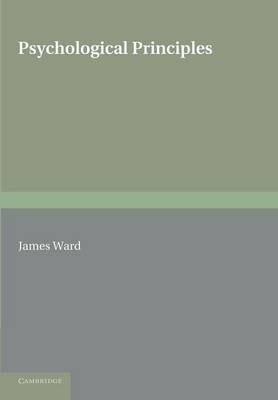 Originally published in 1933 as part of the Cambridge Psychological Library, this book by English psychologist James Ward is largely based on his influential article for the ninth edition of the Encyclopaedia Britannica in 1886. Ward argues strongly against the associationist school, which held that the mind was a passive receptor of experiences, rather than an active participant in the interpretation of external stimuli, and concludes that psychology cannot be as objective as other sciences because of the nature of the subject's own mental situation. This book will be of value to anyone with an interest in the history of psychology.